JERUSALEM (AP) — The Israeli military said Thursday it was bolstering its forces along the Gaza border ahead of another expected explosive Hamas-orchestrated protest. Israel’s military chief, Lt. Gen. Gadi Eisenkot, ordered the fortifications to “thwart terror activity and prevent infiltrations into Israel” before Friday’s near-weekly border protest that has routinely turned violent. Gaza’s Hamas rulers have staged the demonstrations since March to push for an end to the crippling Israeli-Egyptian blockade imposed after the Islamic militant group seized control of the coastal strip in 2007. Over the past month, the protests have escalated as Egyptian-mediated cease-fire efforts have faltered, fueling fears of another war. Seven Palestinians, including two children, were killed last Friday, the deadliest day in nearly four months. On Wednesday, Israeli troops shot dead a 15-year-old Palestinian during a protest near a border crossing into Israel. Overall, Israeli troops have killed 145 Palestinians since March, including more than 30 children. A Gaza sniper killed an Israeli soldier in August. Human rights groups have accused Israeli troops of using excessive force against unarmed protesters. Israel, which has fought three wars against Hamas over the past decade to stop its persistent rocket attacks, insist it is merely protecting its border. It accuses the group, which is sworn to Israel’s destruction, of exploiting and endangering civilians by using them as cover for infiltration attempts and attacks against soldiers. “Who wants to confront a nuclear power with four slingshots? You achieve nothing through war,” Sinwar told a reporter working for the Yediot Ahronot daily in an excerpt published Thursday. Despite the seemingly conciliatory words, Sinwar pledged to keep violently opposing the blockade until it was lifted. Palestinian President Mahmoud Abbas, who leads the rival Fatah movement in the West Bank, has no interest in helping Hamas, which ousted his forces in 2007, leaving the Palestinian people divided ever since. He’s halted salaries to thousands of former government workers in Gaza and ended fuel subsidies, all to step up pressure on Hamas. 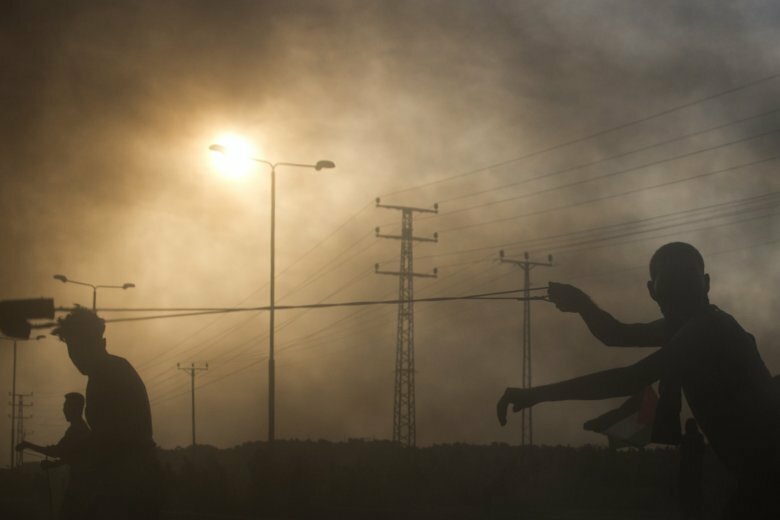 It’s created a paradoxical situation in which Israel has faced resistance from Abbas to provide fuel and other essentials in Gaza to fend off a humanitarian disaster.